Mr Labaran Maku, All Progressives Grand Alliance (APGA), governorship candidate in Nasarawa State, has advised voters to assess candidates seeking elective offices, on their personal merit. 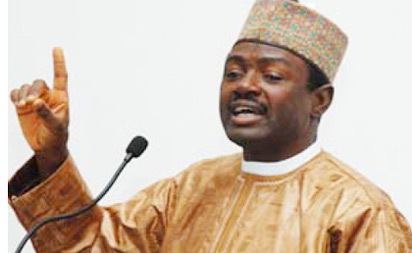 Maku, who spoke with newsmen after meeting with Christian leaders in Karu Local Government, also advised religious leaders against encouraging voters to vote along religious lines. “What should matter to voters is the credibility of the candidate and his or capacity to deliver. We must focus on the integrity of the person seeking the office so as to get leaders of proven integrity in 2019. “Personally, I only require prayers from those supporting me and the Church. I don’t need endorsement from the Church because it is for everybody,” he said. He said that no one should vote for him just because he is a Christian. “Similarly, I will not expect anyone to reject me just because I am a Christian,” he added. He pointed out that Nasarawa State was inhabited by Christians and Muslims, saying that adherents of all the faiths should have equal right to spire to lead. Maku said that he was seeking to be governor because he had the capacity and experience to transform the state to a better place for all. “If I become the next governor, I will ensure justice and equity to all groups and tribes. “What belongs to a Muslim, Christian, Eggon, Alago, Mada, Fulani and any other resident, will be given to him or her, in order to ensure peace, unity and justice,” Maku added. He promised to diversify the economy of the state so as to boost its Internally Generated Revenue(IGR).